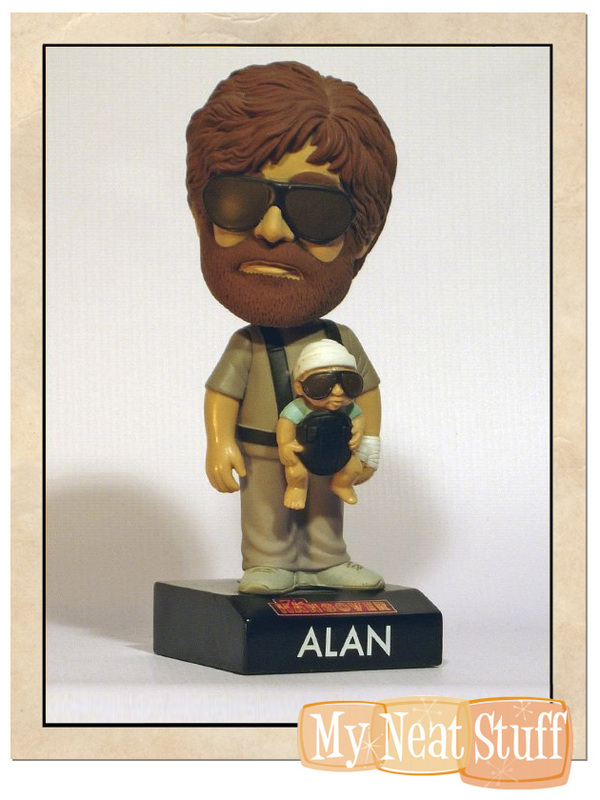 The Hangover Alan with Baby Talking Bobble Head Doll Collectors Item! Measures about 6" tall. Officially licensed merchandise from movie The Hangover. When Alan's head bobbles, he says three hilarious phrases from the movie including, "Not at the table, Carlos," as well as "And we're the three best friends that anybody could ever have." He also says, "You guys might not know this, but I consider myself a bit of a loner. I tend to think of myself as a one man wolf pack."